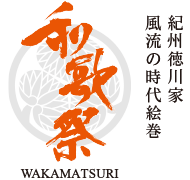 Welcome to Wakamatsuri – Homepage!! Established in 1621 by the first lord of the Kishu clan, Tokugawa Yorinobu, the traditional performances of the Kii Province (the performances of the portable shrine parade) known as the Wakamatsuri has been collected to become the festival of the Toshogu Shrine in 1622. Since then, it has been passed on by our ancestors for nearly 400 years, overcoming difficulties at times. The Wakamatsuri Preservation Committee was established in 1985 for the purposes of the permanent preservation and celebration of the Festival Parade (Wakamatsuri) held on May 17th since the establishment of Kishu Toshogu, as well as raising awareness of the festival in various aspects. 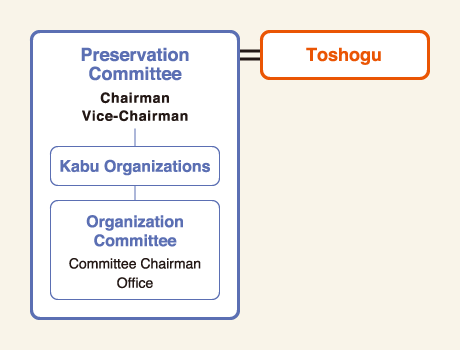 Later, the Young Men’s Group was established under the Preservation Committee in 1999 which became the core of the Wakamatsuri Organization Committee. They now take the role of passing down the traditions of the Wakamatsuri and organizing the festival proactively. Based on the research by Professor Yoneta of Wakayama University, the Wakamatsuri was a festival for peace, celebrating and praying for the peace of the land. It is also known that this festival is a festival of the people which have been born and raised in Wakanoura. Currently, Intangible Folk Cultural Properties are in a critical situation caused by depopulation in rural areas, aging population, etc. As intangible cultural heritage is passed on by word on mouth, it will be lost if there are no successors. In this situation, with the help of the prefecture, the city and many others, the dance and music performances of the Wakamatsuri which had been lost and forgotten has been recovered and now recorded in audio-visual format. We have made huge progress on preserving this festival. We must pass on the portable shrine parade festival known as the Wakamatsuri which has been held for the past nearly 400 years as one of the events held in Wakayama for the vitalization, and as a ritual which we cannot lose. At the same time, we face many challenges such as training successors, securing funding, capturing support and audience, etc. We cannot pass this on without the understanding and support from everyone, seeing this as the basis of the bonding between the people of Wakayama and the image of the time which will be the home for everyone’s spirit. I thank everyone in advance for their support for the Wakamatsuri and their engagement with the traditions of the festival. My name is Toyowaka Nakayama of the Wakamatsuri Organization Committee. As the chairman of the Organization Committee, I put my energy into passing on and organizing the Wakamatsuri, the festival of the Kishu Toshogu which has been passed on by our predecessors in the place where I was born and raised, and the place where I love, in Wakaura. The Wakamatsuri held in May each year was known to be one of the three major festivals in Japan since Edo period and even after the Meiji period. The different performances which exceed 60 in number are now replicated by a parade with over 1,000 participants, which is like no other. The continuation of this festival with its long history can only be achieved with the support of the local people who love Wakaura, the government, various organizations, sponsors, experts, and supporters, etc. and I would like to express my appreciation for all of their support. Furthermore, I am thinking of how we can make this festival more appealing as we come close to the significant event of the 400th anniversary of the festival in 2022. 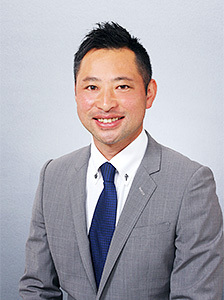 During my first year as the chairman of the Organization Committee, I worked on the vitalization of the Wakanoura area with the Wakamatsuri as an opportunity to strengthen the communication of the appeal through various media and travel agents, as well as establishing special observation seats in cooperation with the Ottotto Square which is now becoming popular. I will keep challenging to improve the appeal of the Wakamatsuri, passing on the magnificence of the festival as well as capturing supporters to not only liven up Wakaura, but the entire Wakayama Prefecture. Just recently, Wakayama Prefecture celebrated its 10th anniversary of being selected as a World Heritage Site in 2014, as well as organizing the festival celebrating 1,200 years since the establishment of Mount Koya in 2015. Wakayama had hosted the National Sports Festival of Japan as the Kii no Kuni Wakayama Kokutai and Kii no Kuni Wakayama Taikai as the the National Sports Festival for People with Disabilities the same year. Wakayama Prefecture is now attracting attention from all across Japan. Wakamatsuri – a festival which has been preserved and developed by your efforts. I encourage everyone to take up this opportunity and boost the excitement to a level which we have never reached before! Let’s work together toward the 400th anniversary!